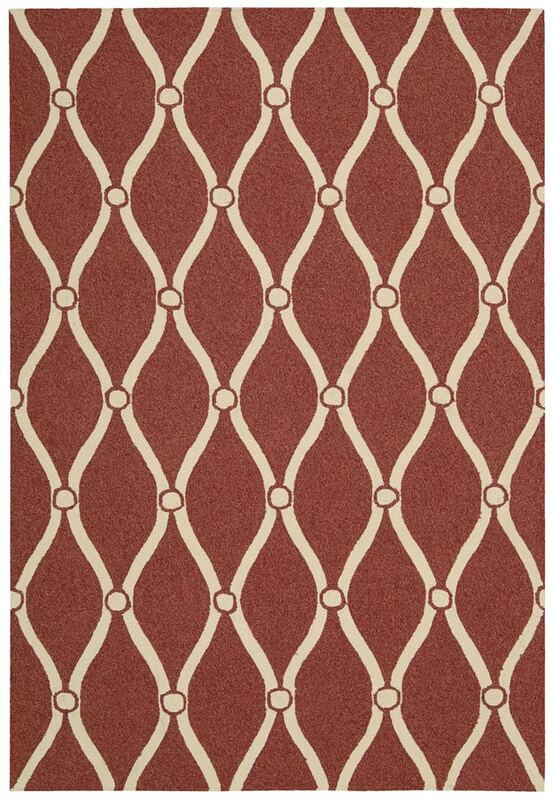 Nourison Nourison Portico Red Indoor/Outdoor Rug POR02 POR02 / 2'3" x 3'9"
POR02 / 2'3" x 3'9"
Portico’s classic latticework pattern offers purity of design and traditional sophistication in an elegant broadloom. The open work grid in a neutral tone accentuates the richly pigmented colors of this attractive and versatile collection. Power-loomed with Nourison’s proprietary technology, the dense tufted pile has UV protection that locks in the color, making it an ideal choice for easy living and lasting beauty. 100% polyester pile on a 70% poly/30% cotton backing. Power-loomed in China. Tufted loop texture with UV protection. Actual Size: 2'3" x 3'9"